Read our helpful guide to second hand BMW 640. AA Cars works closely with thousands of UK used car dealers to bring you one of the largest selections of BMW 640 cars on the market. You can also browse BMW dealers to find a second hand car close to you today. 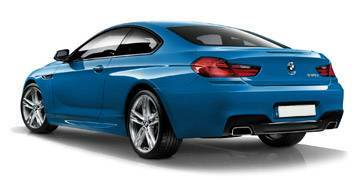 All used BMW 640 on the AA Cars website come with free 12 months breakdown cover. The BMW 6 Series is a sizeable chunk of car, mixing refined cruising power with interior luxury, desirability and performance ability. The entry-level model, the 640, boasts an impressive 3.0 litre engine which comes in a straight six cylinder, turbocharged diesel variant, which although not quite as powerful as its petrol powered sibling, manages to hit 60mph from rest in little over five seconds, and return an average of around 50mpg. All models come generously equipped, adding to the luxurious nature of the sizeable premium executive. Like the rest of the range, the 640 is smooth and comfortable to drive in, favouring refinement and stability over out and out excitement. An entry level model, but still a car of considerable class, power and size.